Here at the University of Surrey, our people make us. We’re a tight knit community of visionary collaborators, innovative thinkers and impassioned explorers. We want to make the world a better place. We give leading researchers the space, support and opportunities they need to thrive. We’re proud to already have you as part of our community, and to support our research priorities further, we are looking for other ambitious and talented researchers to join us on our journey. We know that many of you will already have built up your own online communities of like minded researchers, and we’d appreciate your support in inspiring others to join us. We’ve pulled together a few tips and some example posts that you can do on your LinkedIn profiles to help us to inspire new researchers to join the world-leading research taking place at Surrey. LinkedIn is a professional oriented social networking site, currently supporting 450 million+ members. It is a fantastic way to build and engage with your professional research network as well as access knowledge, insights and opportunities. Do you have a professional profile photo? Is your current job title up to date? Do you have a summary that reflects your area of expertise? Have you added your publications? Have you listed your honours and awards? To add a new section to your profile, for example to list your publications or rewards, click on the ‘Add profile section’ drop down menu under your name and job title (see image below). This will provide you with lots of options to choose from. From there you can fill in the relevant information. Do I have any connections that shouldn’t be there? Often you’ll be sent LinkedIn invitations from spam accounts or recruiters, so now is a good time to get rid of any that you don’t want. Who have I worked with recently that I’m not connected with? Check to make sure that you’re connected with all of your collaborators, conference connections and other experts in your field. The easiest way to share on LinkedIn is through posting an update. When you log on, you’ll be presented with the box below. You can simply type a post in the dialogue box and this will appear in the news feed, as it would on Twitter or Facebook. Shorter headlines work best, and asking a question or adding a call to action such as ‘discover more’ can increase engagement. Once the link preview has appeared, it is possible to delete the URL itself but keep this clickable preview. This will serve to make your post look more polished and professional, as well as not detracting from your post text. You can see that this has been done in the image below. Another way to achieve this would be to shorten your link. URL shorteners are a way of making your post look neater and less like spam. They will also allow you to easily monitor how many times your link has been clicked. bit.ly is the most popular example. 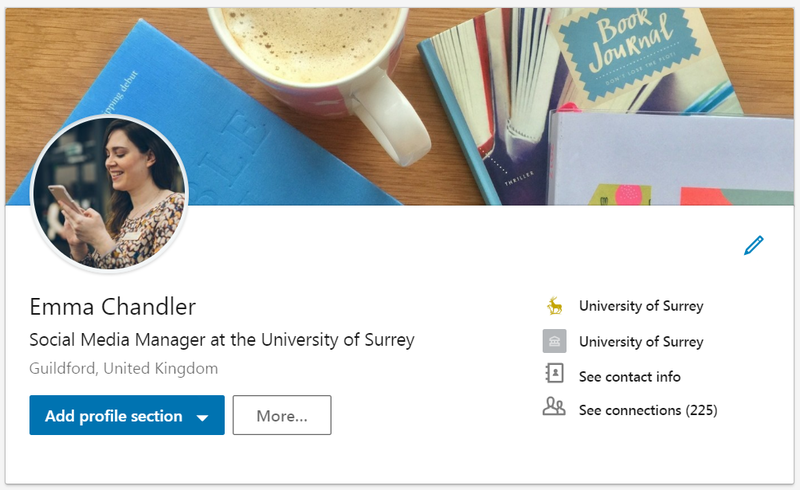 If you haven’t got time to post an update yourself, then you can save time by simply sharing the University of Surrey’s LinkedIn content. All you need to do is go to our LinkedIn page and click ‘share’ on any posts that you want to share with your connections. You’ll then have the option to add your own text to it (but you don’t have to) and you can choose whether to share it to your feed, which means that all of your connections will be able to see it, or send it to someone in a message. We update our LinkedIn daily so there will be plenty of content for you to choose from. 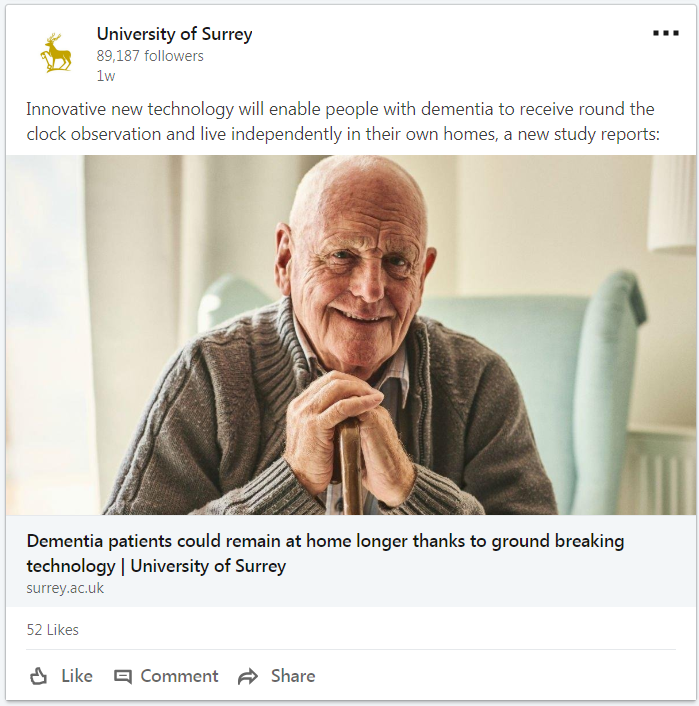 For more information, please have a look at our opportunities for leading researchers web page, and check out the rest of our Surrey Social Media blog for all the latest social media news.